A sativa dominant CBD enriched strain. CBD Skunk Haze is a tall plant and quite self supporting, and quite easy to grow. 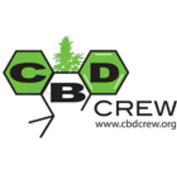 It's a good hybrid and it's one of CBD Crew's most popular strains. Flowers tend to be large and airy, a bit more on the sativa side. It won 3rd place Sativa Cup at TreatingYourself Expo 2013, Ontario, Canada, competing with only high THC plants. Entered by a private grower. This medicinal marijuana strain has been measured at between 5% - 12% THC and CBD. It is a strain for indoor cultivation everywhere but warm climates as outdoors it will not be fully mature until November so the environment needs to be free from frost until then. Greenhouse cultivation will have a broader zone of cultivability. Indoors flowering takes 10 weeks with yields being 450 gr/m2. CBD Skunk Haze is likely to have various medicinal applications but especially for anxiety and pain management.